My son bought me this fan when he went on holiday to Barcelona. I chose this painting because it depicts a beach. 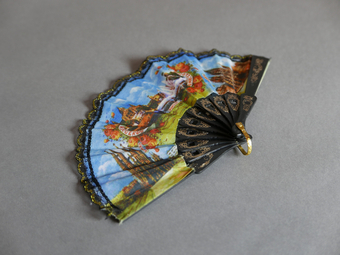 My son was on a beach when he bought the fan as a souvenir gift for me.